I have been writing for more than 4 years now for my blogs, but my writing was full of errors in the beginning, and I still feel that I donât write well. I still make minor mistakes and sometimes major ones too. I am not a natural born writer, and I never tried to be, but as I have been blogging forÂ aÂ while, I have started to notice that I am falling in love with writing, and hence, I have started putting inÂ a lot of efforts to improve my writing skills. I always had a fear aboutÂ whether my audience would like my content or not, but gradually, I have improved a lot, although I am still not fully confident about my writing skills. I use MSÂ Word to type articles. It helps me correct aÂ few mistakes as it shows red, green, and blue lines to help correct the writing. It worked quite well, but I needed a software built especially for checking grammar and spelling mistakes along with some better features. Then, I foundÂ Grammarly,Â which can be used as aÂ plagiarism checker tool, a free online proofreader, and a grammar checker. It was founded byÂ Alex ShevchenkoÂ andÂ Max LytvynÂ in 2009, and its headquarters is in San Francisco. 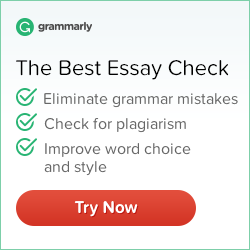 Grammarly is an all-in-one tool for both newbies and experienced writers because it detects evenÂ those mistakes which donât get noticed while manually proofreading. First, I installedÂ theÂ Grammarly Chrome extensionÂ in my Chrome browser. It automatically proofreads the content I write in any online editor and then suggests corrections forÂ the mistakes it finds. It detected all the three errors and madeÂ suggestions onÂ howÂ to fixÂ them. What else couldÂ a writer need? I’mÂ sure you alsoÂ noticed how fast it detects errors. When we manually proofread our own written articles, many errors donât get noticed, which canÂ result in a crappy article that no one wants to read. Readership is indeed essential for writers, and if theirÂ workÂ is full of errors, then they might lose credibility and thus lose readers. Therefore, it is important to make your article absolutely error free, somethingÂ which you can easily do withÂ Grammarly. One of the best things I found is that you can download the Grammarly Add-on, which works in Microsoft Word. Freewares – GET IT FOR FREE!